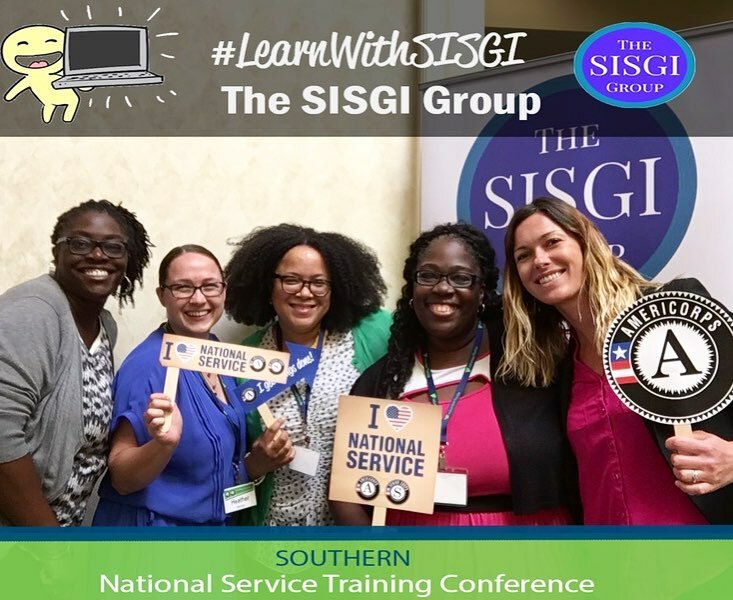 As an intern with the SISGI Group I recently had an opportunity to attend the 2017 Southern National Service Training Conference in Orlando, FL. When I arrived at the conference, banners and logos from a variety of agencies were on display. 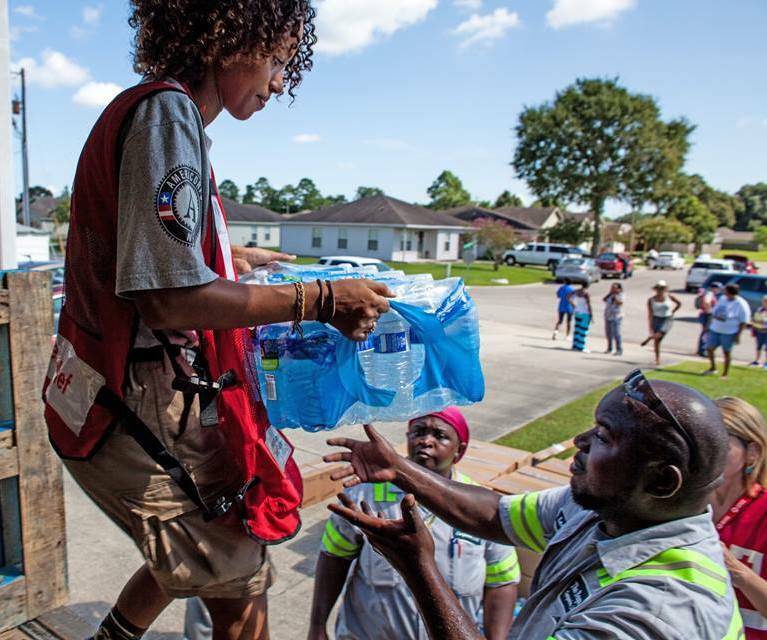 Some organizations were familiar to me, such as AmeriCorps and City Year and some were unfamiliar, such as Volunteer Florida and State Service Commissions. At first, I must admit, I was perplexed by how these agencies were all connected but as the week went on it all began to come together. The event was hosted by Volunteer Florida and the Corporation of National and Community Service (CNCS). CNCS, I came to find, is a federal agency that invests in thousands of nonprofit and community-based programs throughout the country, including AmeriCorps, Senior Corps, the Social Innovation Fund. Throughout my three days at the conference I was able to connect with community and nonprofit leaders and learn best practices from them on grant writing, strategic program planning, advocacy and how to raise awareness about social causes through social media. However, what resonated with me most throughout my time in Orlando was learning about the vital role CNCS programs play within communities across the nation. I met members who serve as Foster Grandparents and learned how their tutoring program helps students stay on track to graduate. I met employees of Volunteer Florida who taught me about how CNCS national volunteer networks are the primary responders after events such as hurricanes, forest fires or terrorist attacks, assist with everything from shelter and call center operations to case work and the construction of new homes. I had the opportunity to listen to Orlando Police Chief John Mina and Dr. Joseph Ibrahim, Trauma Medical Director at Orlando Regional Medical Center, discuss their experiences on the night of the Pulse nightclub shooting and the impact volunteers had during and after the attack. I learned that beyond volunteerism, CNCS programs provide sustainable, evidence-based solutions to pressing social issues, such as poverty and climate change. This foreboding cloud was palpable in Orlando. Although the hundreds of conference attendees were concerned about their livelihood, their primary anxiety was over the effects these changes would have on members of their communities. Despite this apprehension over the unknown, I also saw rooms full of passionate people inspired and unwavering in their commitment to creating lasting change, a powerful coalition of like-minded individuals with more resolve than ever to fight for what’s best for their communities. To echo the sentiments of a fellow conference attendee: “what makes America great is our communities.” Politics aside, without investments in our communities I wonder what they would look like without the thousands of volunteers on standby ready to provide relief, recovery and rebuilding efforts after the next hurricane; or without the tutors who provide critical support to students who are falling behind in nearly 12,000 schools across the country each day; or the altruistic college grads who are willing to put their careers on hold for a year to serve their communities. I hope you will join me in letting our leaders know that national service is a necessary program that delivers results. Make your voice heard by contacting congress and asking them to protect national service from potential elimination. Visit Voices for National Service to take action today. Want to check out more of the fun we had at the Southern National Service Training Conference? Click here to see more pictures from our photo booth.